The Human Joystick has juked his way into the spotlight again. 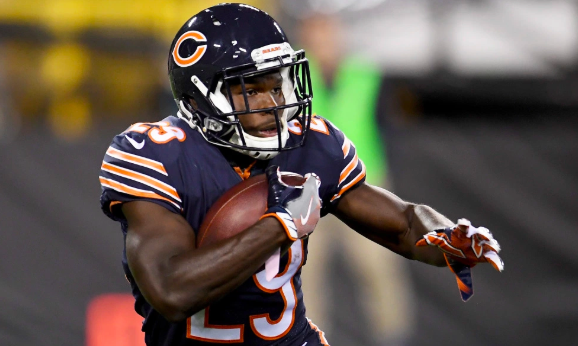 Tarik Cohen was selected to the NFL Pro Bowl rosters on Tuesday. Primary used as a running back, the Chicago Bears standout is currently listed as a return specialist as of right now. He currently has 413 punt return yards from 31 returns so far this season. Last season, he gained 583 kick return yards and 272 punt return yards. A joystick has multiple uses and Cohen has been used in many ways so far this season. He’s currently averaging 4.6 yards per rushing attempt with 405 total rushing yards. Cohen also has 710 receiving yards and 68 receptions as well. He has two touchdowns on the ground and five through receiving. Cohen is currently the second leading receiver within NFL running backs. … and still doesn't get a Pro Bowl bid? Cohen is not the only player from an HBCU to be selected so far. Former Arkansas-Pine Bluff’s Terron Armstead from the Saints was also selected. Darius Leonard seemed to be a sure pick since he leads the league in tackles but he was snubbed. That could change as players drop out. Stay tuned.